Did you know you can now order your Deliveroo takeaway from Jamie's Italian here on View? Jamie's Italian is a modern chain of restaurants offering affordable Italian cuisine within a relaxed and friendly atmosphere. 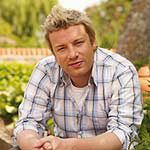 Do you work at Jamie's Italian? What did you think of Jamie's Italian?